Where’s the most relaxing place to take a load off? A comfy bed? A giant plush couch? A hammock swinging in the breeze? None of the above. If you’re really looking to wind down, what could be more relaxing than plopping down in Buddha’s lap? 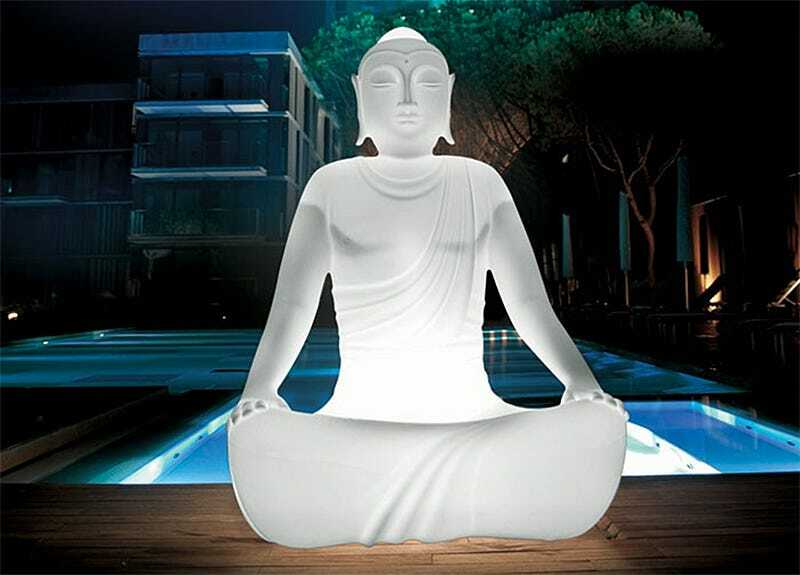 The only non-zen part about this five-foot-tall plastic lounger, that even softly glows when plugged in, is the price tag. You can expect to pay almost $700 for it, which might require a few days of being perched in Buddha’s lap while you come to grips with the money you just spent.